located in the New Industrial Park of Weihai which is well known as “the Best City for Living” with convenient traffic communication network around the company. “Famous brand product” awarded by China Pencil Insititute. Novelty design, Advanced technology and craft. 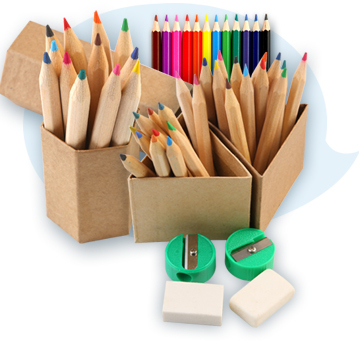 ain products range: 70 colored pencil, Metallic colored pencil, Water-soluble colored pencils, Rainbow pencil, Fluorescent colored pencils, Water-soluble sticks, Supreme Water-soluble Charcoal pencil, Bi-color pencil, Glass & Leather pencil, Hi-quality drawing pencil from H-6H,B-9B, Exam pencil (2B), UV printing pencil, Foil pencil, 6-side printing pencil, Top-side printing pencil, Silk screen printing pencil, Carpenter pencil, Natural pencil etc.